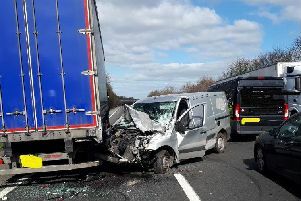 A clean up operation has been mounted on the A1M near Doncaster following a collision between a van and a lorry this morning. 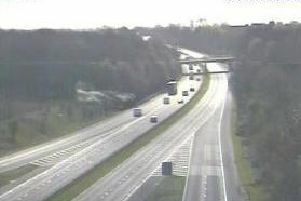 The northbound stretch between Junction J34 for Blyth and J35 for Doncaster is currently closed. Traffic is queuing for around three miles on the approach to the crash scene but Highways England said one lane is expected to be re-opened to allow traffic to pass. Details on whether anyone was injured in the collision have not yet been released.